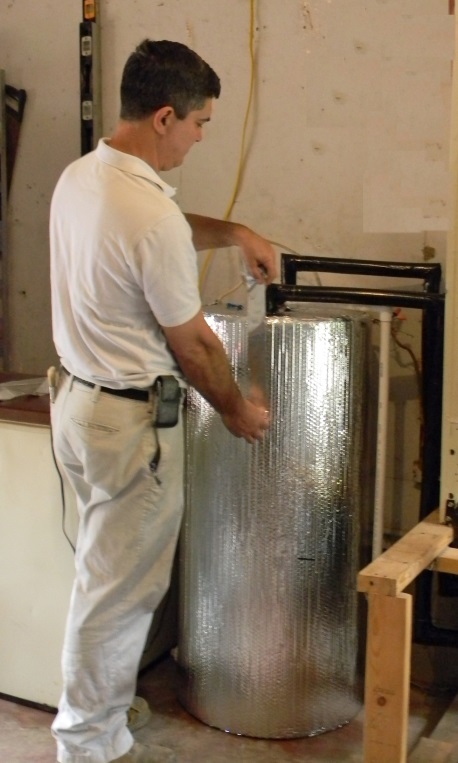 MDHA’s Weatherization Assistance Program helps low-income households create a more comfortable energy efficient home. 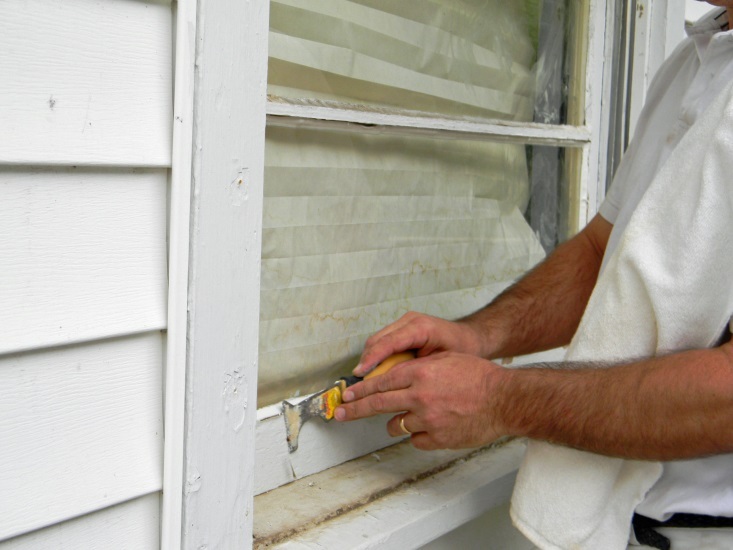 Some weatherization items include insulation of attics, walls or floors, caulking and weather-stripping. Click here for the program application, income limits, a list of documentation needed and contact information. I just wanted to let you know how much I appreciate all the work your contractor did on my home. I was totally amazed with how efficiently they worked. They were here early in the morning, took only a sandwich break, and then went back to work until the job was done for the day. They went over everything with me and were very thorough in what they did. I am very happy with the energy improvements made to my little house. As I go into retirement and will be in my home more, I know I will be a lot warmer than ever before. I am truly grateful for this weatherization program. It means I can stay longer in my home as my life goes on. I wanted to take this opportunity to say “thank you” for all your efforts on the weatherization project at my home. Everyone involved in this project did an outstanding job on completing the items that MDHA deemed necessary to weatherizing this property, particularly installing the storm windows which I know will make a major difference. I am so pleased with everything that was done and how professionally the contractor conducted their business. Please convey my sincerest appreciation to everyone involved for an outstanding job. I took part in your weatherization program in 2011 and I would have to say it was a success. The contractor made sure that the work was done right and that I was satisfied and liked what was being installed. He was here from start to finish and left his cell phone number for me to call if I had any problems. I think to make more people happy you need more contractors like him. I am writing to extend my gratitude for all the assistance your organization has given me regarding weatherizing my house. I would like to bring attention in particular to the energy auditor, the contractor and the inspector. They were all very helpful and patient with me when answering my questions. Again, thank you for all your assistance in helping us become energy efficient. Many blessings in all you do to help others. I want to take this opportunity to express our sincere thanks for the extra-efficient work of your contractor and inspector. We were so blessed by the great work these two did. We have a very low income of Social Security only and our home is approximately 50 years old. It was such a blessing. Thank you for helping with the application and follow-up work you did to help me get benefits from the weatherization program. Please thank the auditor for the initial evaluation, the contractor for the work, and the inspector for the follow up. Recently our mother’s home was weatherized through your program. We would like to thank you very much; this will help a lot with utility bills. We would also like to thank the contractor and his crew. They did a wonderful job, always on time and always working. They were great and we would just like to pass this on to MDHA. Thank you. This is a wonderful program. Just a note to thank you for all that you did to fix up my house. I couldn’t have asked for better people. Everything looks so nice. I used to have the worst looking house on the street. Now I think I have the best looking one. I want to thank the weatherization program for restoring and repairing my home. I am very pleased and appreciative for this service that the government sponsors for its citizens to upgrade and repair their homes. My utilities have been greatly affected in a huge way. The impact has been positive and has lowered our electric bills immensely. Thank you for this program. I want you to know my appreciation for the nice job you did on my house. Thank you much for your generosity and impartiality. I wanted to say thank you for the weatherization program. I can already tell a difference in how my house is staying warmer! The contractor and his assistant were both great and did excellent work. I think you should know that. I’ve told several of my neighbors. It’s all old houses in this part of Inglewood, so I’ll bet many could use weatherization. I hope you get more calls. Thanks again! I almost cried when I received the letter informing me that I had been approved for the weatherization program. I’ve dreamed of having heat in my home for 16 years. Thank you for working on my application and calling me to make sure that I submitted all of the appropriate forms. This program is a godsend. Your work is a blessing to me and so many other Nashville families. I can’t imagine a better way to start 2011! I wanted to write and tell you how extremely delighted I am with the work that was done on my house. The contractor who was in charge of my project was very conscientious and knowledgeable about the work he was orchestrating. He was here every day checking the work to make sure it was done correctly, and came back at the end of the total project to make sure any debris was picked up and disposed of. I was always informed of any problems and told what the daily routine would be. I feel very blessed by this project and I hope other families appreciate you as much as I do. You will remain in my prayers with thanks given every time I looked out of my beautiful windows. I want to thank you for the weatherization assistance you provided for my home. Your program is an excellent one to help low-income individuals. On my own, I would not have been able to afford the work performed. Your agency was so thorough throughout the process. Whenever I called for information, all the employees I came in contact with were exceptionally helpful, courteous and professional. Keep up the great work you’re doing! I am truly satisfied and most grateful. I’m writing to express my genuine appreciation for the recent weatherization of my home. My home sits very low on the ground and maneuvering the limited crawlspace to insulate the house was difficult, yet the contractor and his crew handled it impressively. It is reassuring to face the winter knowing my home will be warm and secure. Thanks to all responsible for this opportunity.